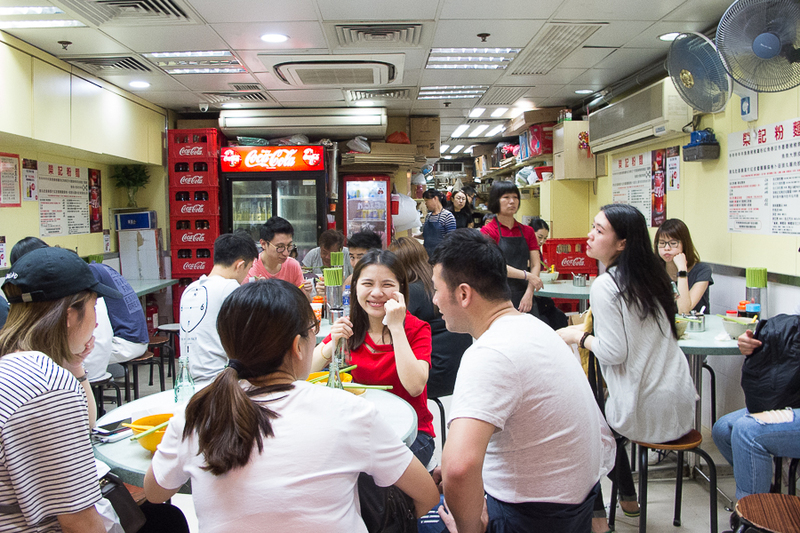 [Hong Kong] Originally peddled as a peasant food on street food carts, the cart noodle’s humble origins began back in the 1950s. They were known to be staple food of low cost, meant to be afforded by the average man. With the disappearance of carts from the streets and rising hygiene standards, these cart noodles have also migrating into shop spaces. 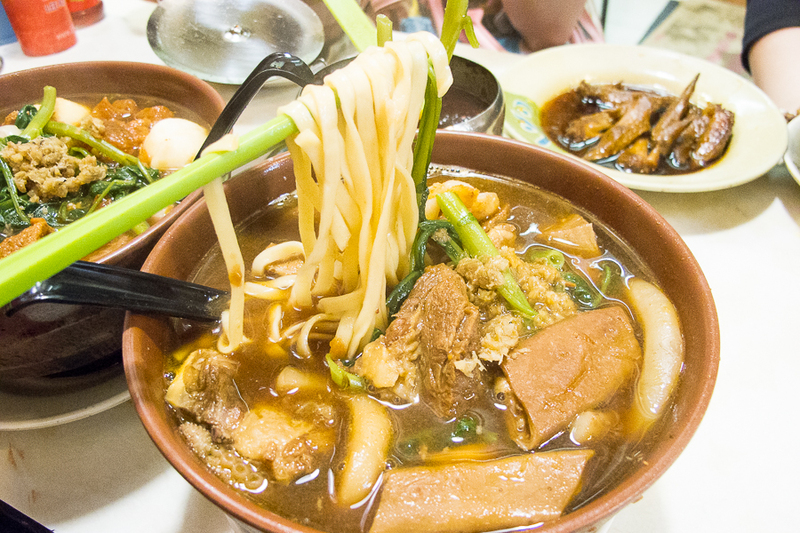 Although this humble noodles soup dish is no longer food just for the “poor man”, it still maintains itself as a bowl of noodles that is chockfull of ingredients for a low price – Hong Kong’s standard of low, of course. 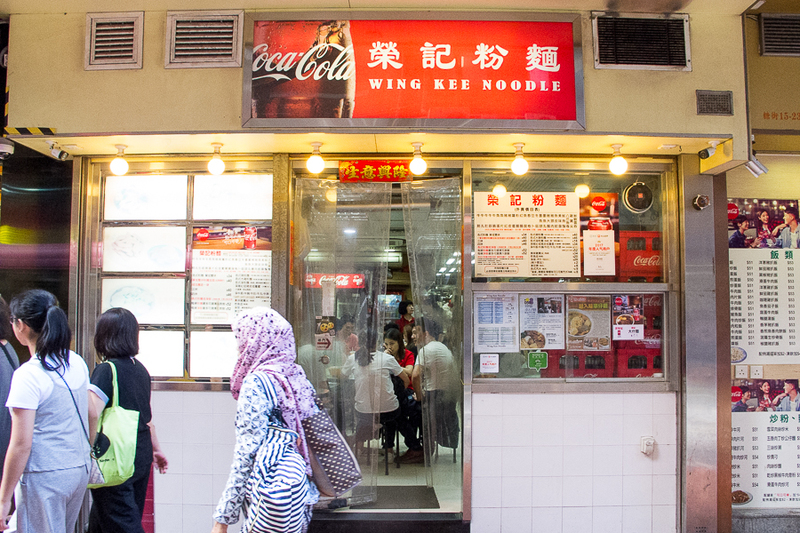 Wing Kee Noodles (Sugar Street) is an establishment known for traditional cart noodles, and is one of the popular must-eats in the Causeway Bay area. The tiny shop is often bustling with hungry patrons wanting a quick meal. 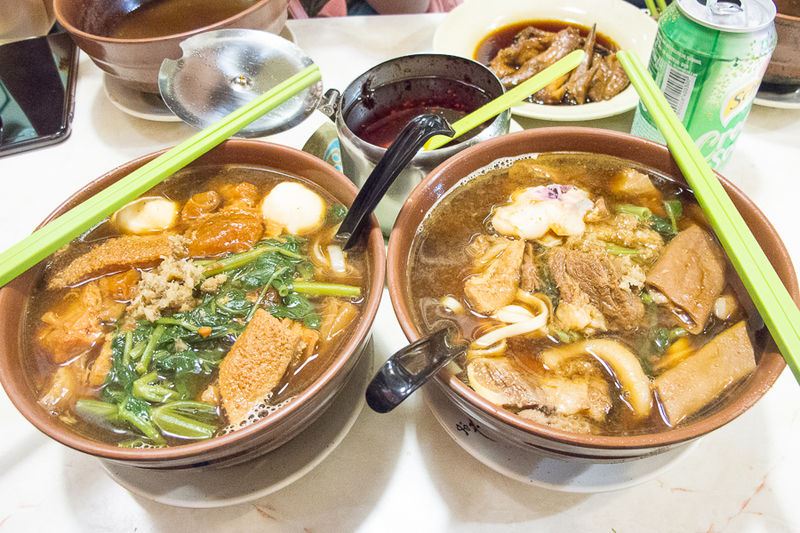 Locals love cart noodles for the mix-and-match factor and Wing Kee offers a wide array of toppings and different noodles that you can customise your preference to. 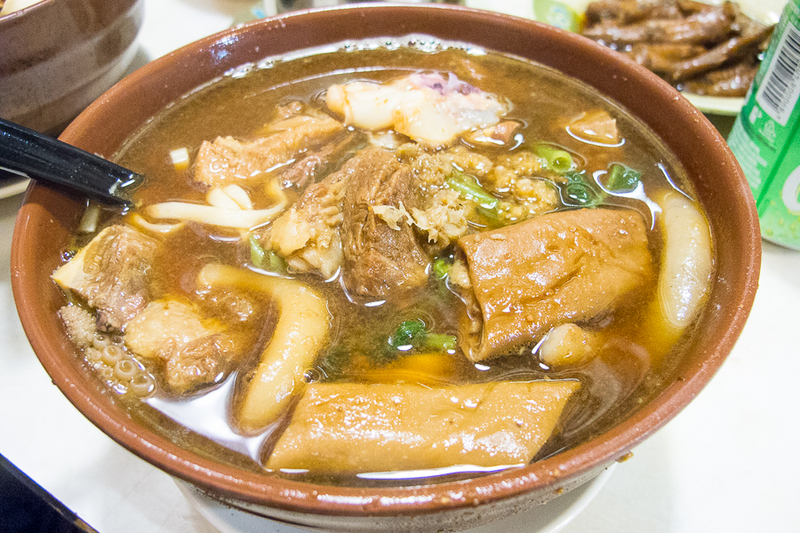 As it is a tedious process to prepare these ingredients individually, there are only a handful of popular establishments to go to for a cart noodles craving. Topping items like the beef brisket takes hours to prepare. 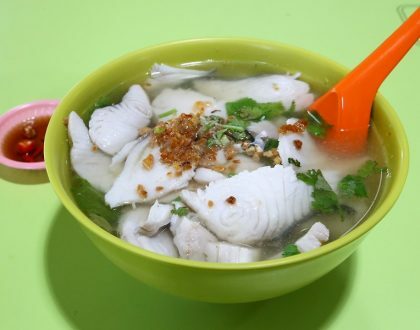 Also, it requires some skills to prepare intestines, tendon and tripe – something that Wing Kee does well. 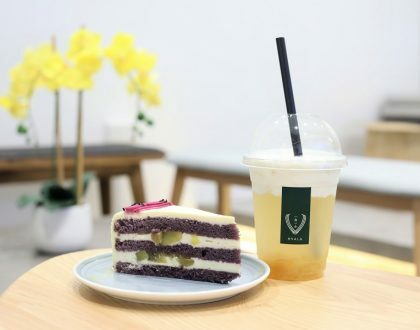 Be prepared to be crammed in a corner, sitting on a rickety wooden stool and sharing a table with as many people as they can fit in that spot. In other words, it is an eat-and-go place. 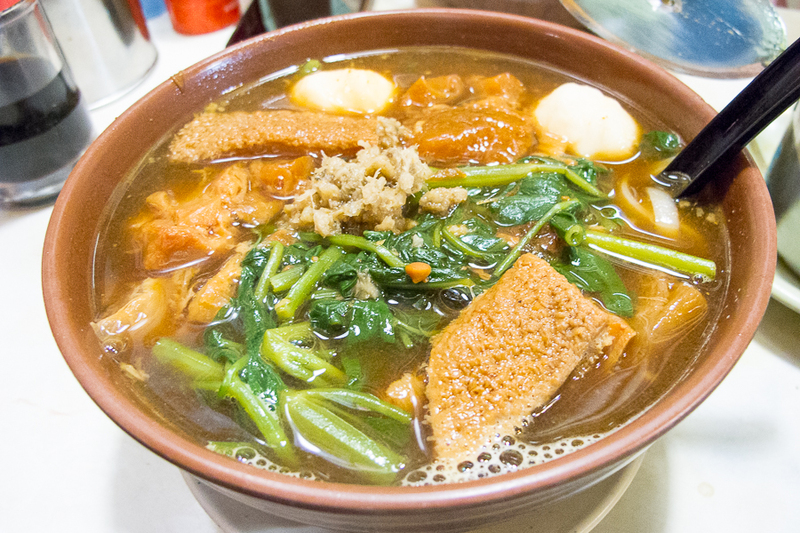 For 1 or 2 toppings with a choice of noodles, it will only set you back by HKD34 (SGD5.80). Toppings include fish slices, pork, wontons (safe choices) and pig’s blood, small intestines (more adventurous). There are altogether 6 different noodles options to choose from. I went for 3 toppings since I am quite fickle and was feeling a bit greedy. I chose the beef brisket, pig intestines and squid tentacles with thick egg noodles combination – HKD41 (SGD7). My messy bowl of noodles came piping hot with more ingredients than I bargained for and also came with some vegetables in the yummy broth. The intestines were cooked nicely and beef briskets soft and melted in th mouth. 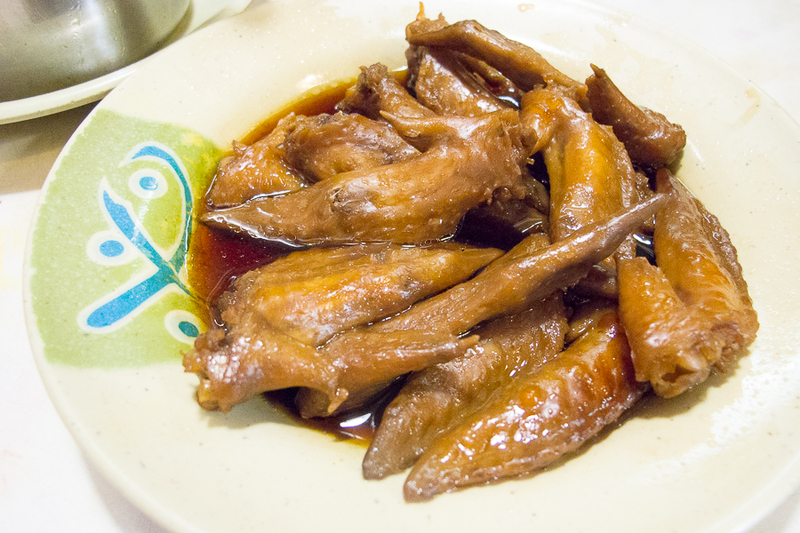 A specialty of Wing Kee’s is their Chicken Wing Tips – a plate of wing ends marinated in soy sauce – probably part of a frugal meal back in the day but currently enjoyed by many locals as a side dish. 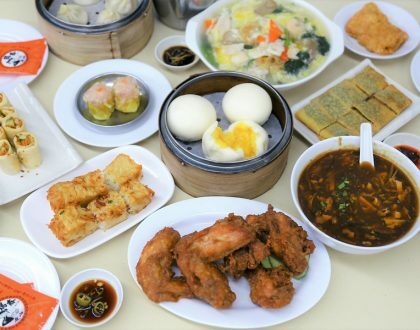 Wing Kee is one of the handful of places you can go to enjoy a taste of Hong Kong’s nostalgia food. I can only imagine the piping hot bowl of cart noodles must be even more enjoyable during the chilly winter months here. The broth was quite tasty and addictive; I am guessing could be a bit of the MSG (monosodium glutamate) at work. Prepare to drink up after consumption.